driven content, sensationalism or unanswered controversy. Radio Your Way: Live. On-Demand. Podcast Download. LISTEN LIVE NOW: Click 'Listen Live: ALL Devices'' button. For SilverLight/WMP Listening: click above 'SilverLight/WMP' button or go to Internet Explorer click 'Listen Live: SilverLight/WMP' button. LISTEN ANYTIME: 3 month On-demand or Podcast Download. PC: Click 'On-Demand & Podcast' button, click host name, click exact show to listen immediately or follow 'download' instructions for podcast download. Smartphone/Tablets: Same as PC; for on-demand use podcast download. The wheel of positive energy keeps turning with entertaining topics you want to hear. 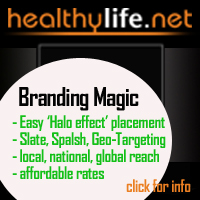 Health & Fitness: Health the all natural way. 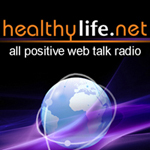 Top health experts give you timeless and cutting edge info on how to get and stay healthy. Lifestyle: Navigate towards a positive, successful life with talk and tips on loss, family, relationships to fine dining, beauty trends and more. So tap the pulse of positive energy and join us. HRN News@7: Served straight up with a positive twist weekdays, 7am, 7pm. Click HRN News@7 logo for up-to-the-minute info on fraud scams, consumer dangers, big pharm drug dangers and more. Inspiration & Motivation: Explore moving towards the positive side of life. Variety, The Arts, Business, Community: Learn about local news, events, arts, business, cars in the South Bay communities. Spirituality and the Paranormal: From dreams, astrology, healing sound to spirituality and shamanism learn from our illuminating experts. With all-original content to ignite your positive side. Over 65 syndicated/simulcast distribution channels on PCs, in cars, WiFi, mobile, smartphones, smartTVs, smartwatches, private radio networks for the blind, retail stores and more in over 135 countries and all 50 States. Stay Positive and Have a Happy, Healthy Life!